Tow Rigs and Trailers Hey, not all of our Jeeps are great on the highway. Post here for tech related to getting your XJ to the trailhead. Searched but can't locate an answer I flat tow my 2000 Cherokee behind my F250 that has slide-in camper. I am being "Told" that I can get a wiring harness that is plug and play. Currently I have Harbor Freight magnet mount lights for brakes and turn signal on towed Jeep. Just plugs into trailer plug on Truck. Works fine but I sometimes forget to put them on and even to take them off the Jeep. Anybody know about a plug and play that allows me to just use the XJ's lights? This isn't 100 percent plug 'n play, but it doesn't look terribly complicated to install and may meet your needs. This is what I did for towing lights. There have worked well for the last 14 years and 85,000 miles of flat towing. I have the Roadmaster Diode towing kit on my 99 Cherokee. So far no issues. When you are done there is no feedback to existing wiring and no extra lights to hook up. I just finished doing a diode job on my '98, purchased a 20 pack of 15 amp diodes for $6.00 and got busy. I pulled a 16/3 s.o cord from the engine bay along the right inside to the right rear T/L area the ran a span across to the left side light. Took about 4 hours to complete with so interruption breaks, total cost $6.00, already have the cord and front connector in my electrical collection. DKtool... that sounds like a nice setup but don't understand how you use / mount just diodes? I'd love more explanation or pictures. Is it activated by the trailer connector on tow vehicle? 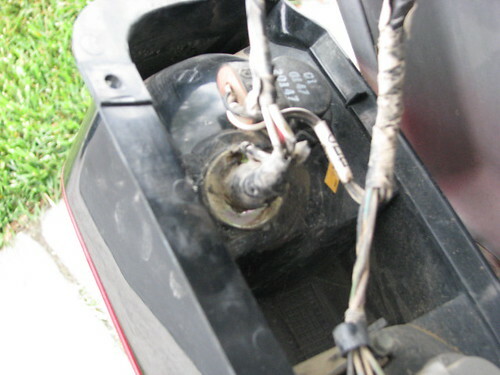 Spliced in the diodes as needed in the leads between the taillights and their plug in connection behind the rear side panels. All additions made inside the vehicle. I can draw up a schematic and post it here when I have time, as of now it's filed away in my head. Location: CA/Utah at this time. Don't know if you want to buy one but this is the lace i have bought all of mine. i have had 3 different saturns that has been towed behind my motorhome. Smiley face added so people won't feel but t hurt. Don't make old people mad.We don't like being old in the first place, so it doesn't take much to piss us off. RIP Shady, the Greatest Father & man i will ever know. Was it hard to install? It's not overly complicated on an xj, the tow bar mount uses the same holes as the factory tow hooks. Might have to pull the bumper, dont recall. The wires just get run from front to back, simple. 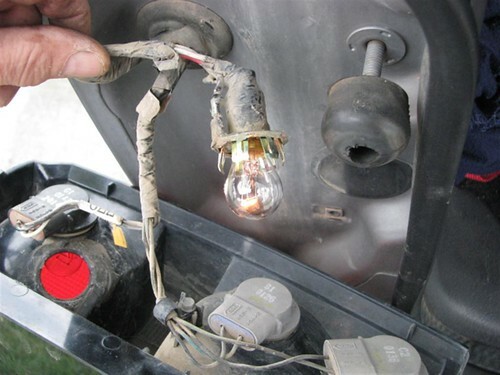 As an alternative to utilizing the existing XJ tail lights, connected through diodes, is to add an extra set of bulbs in each housing and eliminate any cross connection. 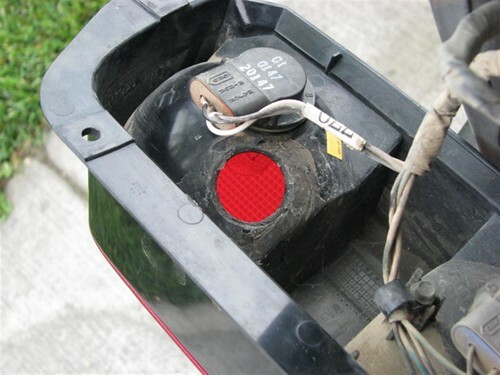 Eliminating the diodes also raises the voltage that the tail lights see. I drilled a hole in each tail light housing and used a snap in tail light socket, A fresh set of four-wire cable was run from the tail lights to the front bumper where a 7-pin plug is located. I used this tail light kit. The bulbs has since been upgraded to LEDs. I made some mag mount lights back in the flat tow days because I had a couple different xjs to tow...but that extra bulb deal is slick.